This beautiful condominium in Hillsboro Beach is waiting for you to move in. This two bedroom two bathroom end unit with a direct ocean view with southeast exposure encompasses a generously scaled one hundred thousand and twenty two square feet of perfectly appointed living space. This meticulously cared for unit has been remodeled to update the entire unit. 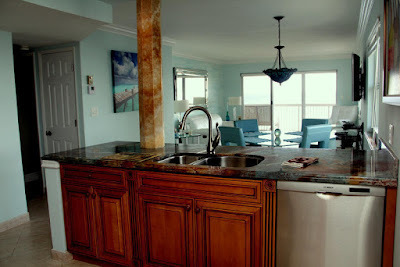 The gourmet style kitchen has a full suite of stainless steel appliances, granite counter tops and custom cabinetry. The windows are high impact glass for safety. The hurricane shutters are all electronically motorized. The panoramic views from the master suite and living room are breathtaking! The bathrooms have been completely updated. This is a beautiful condominium. The furniture is negotiable for purchase. The Ocean Hillsboro residents have so many great amenities at their fingertips! The resort style pool, quiet private beach, picnic area with BBQ, boat dock age available at the marina, shuttle available to Deerfield Beach are all available to the residents. Fine dining and shopping is in close proximity with a short drive to Mizner park.The easy access to Palm Beach International Airport and Fort Lauderdale international Airports make this location ideal!